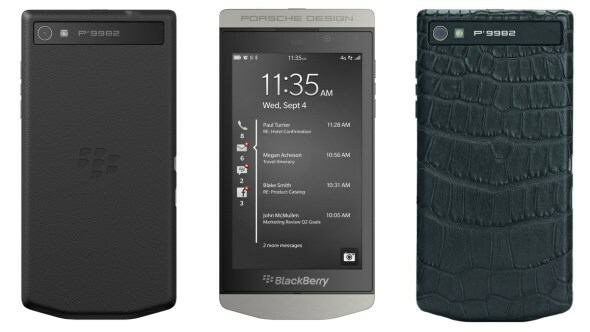 Still remember the uber exclusive Porsche Design P’9981 from BlackBerry? Well, here comes its all-touch successor: the brand new Porsche Design P’9982. Running on BlackBerry 10.2, the device features a stainless steel frame with satin finish together with a back cover that is hand-wrapped with genuine Italian leather. Porsche Design will also be releasing a version that features a back cover with genuine crocodile leather that will be limited to only 500 units and available exclusively at their outlet in Harrods, London next month. While the design is almost similar to the previously released BlackBerry Z10 and Z30, the bottom part of P’9982 is less rounded and more identical to P’9981. Just like its predecessor, each P’9982 also comes with a PIN number that belongs to a PIN series that is reserved only for P’9982 owners. While there is no official mention of the price in Porsche Design’s announcement, the P’9982 is said to cost around GBP 1,500 (RM 7,665) once it hits the market starting from 21 November through Porsche Design stores throughout the world as well as select carriers and retailers.